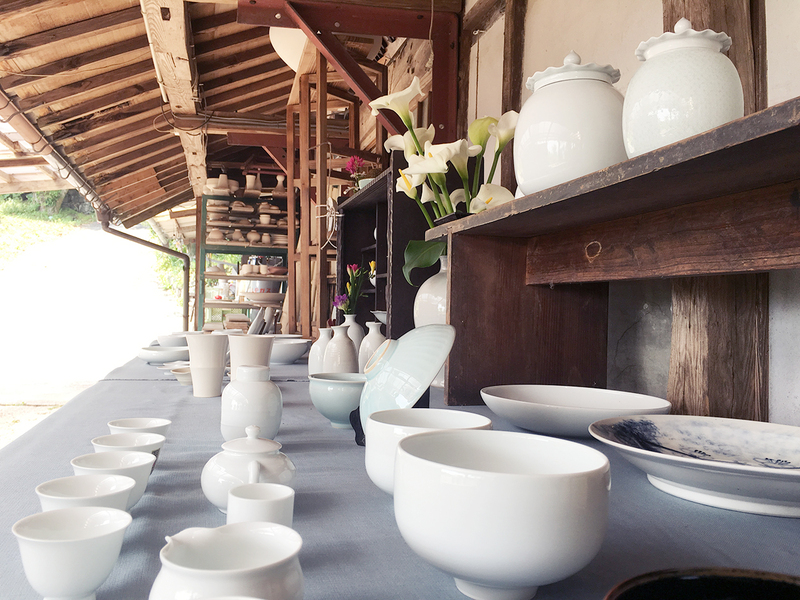 Yashiki Yozaemon Pottery is the pottery focusing on the white porcelain in Arita, Saga Prefecture, the birthplace of Japanese porcelain. Yashiki Yozaemon who inherited the traditional Arita ware of 400 years has been producing porcelain wares with all his abilities using the porcelain potter’s wheel which is rarely seen today. Due to his certified technique and performance, he was named to be a “Contemporary Master Craftsman” in 2011. 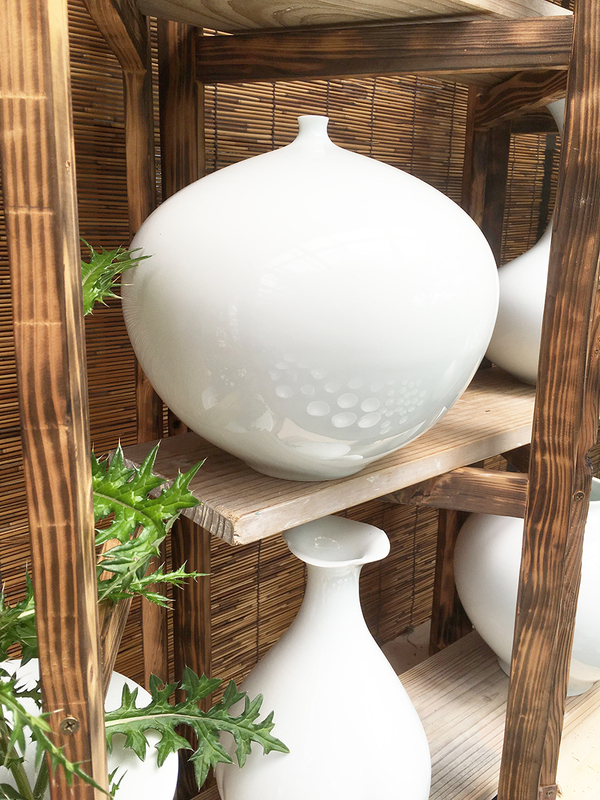 There are various characteristics in each Arita pottery. The following are the elements characterizing Yashiki Yozaemon Pottery. White porcelain is made from the white base material with the colorless glaze on and burnt in the reducing flame of high temperature. This method was originated in China in the sixth century. White porcelain was so beautiful and rare in those days that the porcelain wares had been highly valued as presents at court or between the feudal lords. Modern porcelain was brought into Japan in the era of 16th century by the potters from the Korean Peninsula. At that time the stratum including the magnet stones suitable for white porcelain was found here in Izumiyama of Arita. White porcelain has been burnt since then. Therefore, Arita has been referred to as the birthplace of porcelain in Japan. White porcelain without painting is often said to represent the potter’s genuine abilities. 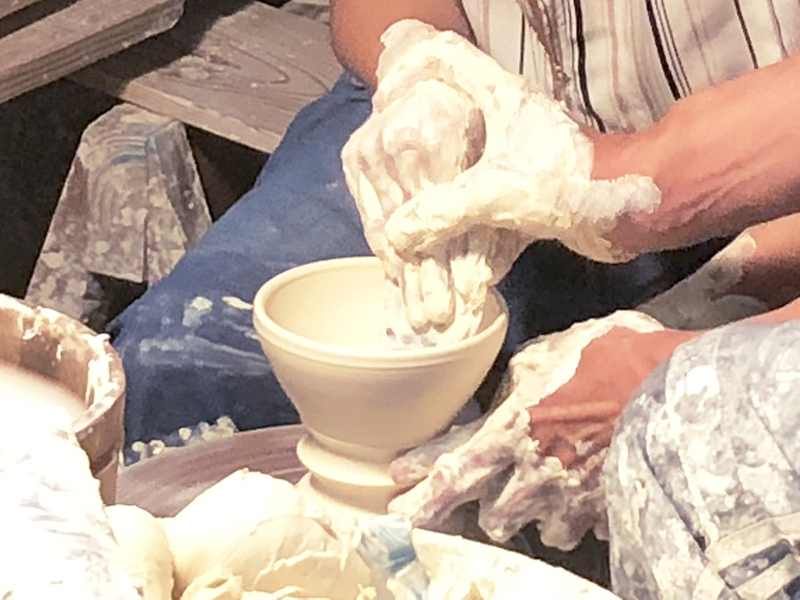 Enormous hours are required to master the porcelain potter’s wheel, and moreover, even a small scratch or particle cannot be accepted as porcelain wares. Even though there are many Arita potteries, each producing method is not the same. In case of small porcelain wares, the technique is largely divided in two districts of Uchiyama and Sotoyama. Among from the magnet stones (porcelain clay) mined from Izumiyama, the ones with good quality used to be wholesaled in Uchiyama for artworks and gifts as its main products. At the same time the others are said to have been used for the mass wares in Sotoyama. Technique of Uchiyama district finishes the molding only with porcelain potter’s wheel. This requires considerably high workmanship to uniform the size and angle of the curve along with the size and height of the diameter. Potters must keep practicing day after day to acquire this skill. Uchiyama’s technique had been the core of Arita ware in those days, however, it’s hard to find this technique among the potters these days. 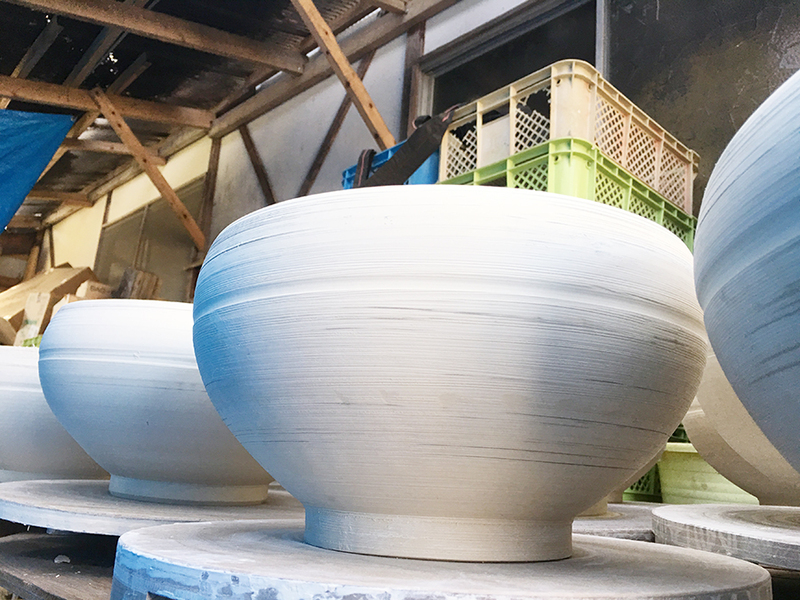 In Yashiki Yozaemon Pottery, the traditional technique has been inherited faithfully to convey the beauty of Arita ware at present. Now you can experience the potter’s wheel everywhere in Japan, however, when it comes to the porcelain potter’s wheel, it is limited. In our pottery, we have made researches from the beginning of this pottery and piled up many results so far. Now we’ve been providing the opportunities to experience the porcelain potter’s wheel not only for the people in the Arita ware market and various exhibition places but also for the students in the elementary schools and junior high schools. In our pottery, you can experience the general production process of the potter from molding of the clay to the separation of the product. You can enjoy the experience of porcelain potter’s wheel for free of charge. (Kiln charge is required if you want the product to be burnt in the kiln.) In the experience-based lessons at schools, we convey the pleasure of handcrafting, painting, and touching of the clay. It is our joy to see the students seriously working on the pottery experience. Copyright © 2010 YASHIKIYOZAEMONGAMA All Rights Reserved.